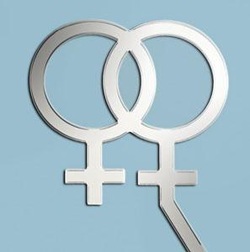 Symbol Cake topper are a great way to top off any cake. Weddings, Birthdays, Anniversaries, or any occasion.. This topper is 5.5 inch high with a 3 inch monogram letter. 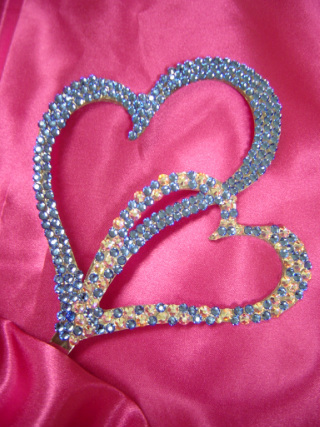 The Double Heart is make with Clear Swarovski Crystals ONLY. You choose the Swarovski Crystal Color for the monogram letter. If you don't see your Crystal Color in our color chart below dose not mean that we don't have it. We have over 100 crystal colors in stock. This topper is 6.5 inch high with a 3 inch monogram letter. 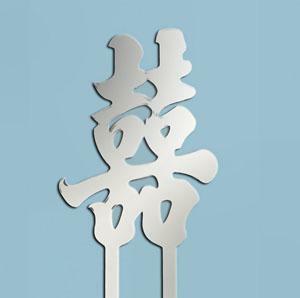 This Monogram Cross is made of acrylic mirror with stack attached for easy insertion. You choose the Swarovski Crystal Color for the monogram letter. If you don't see your Crystal Color in our color chart below dose not mean that we don't have it. 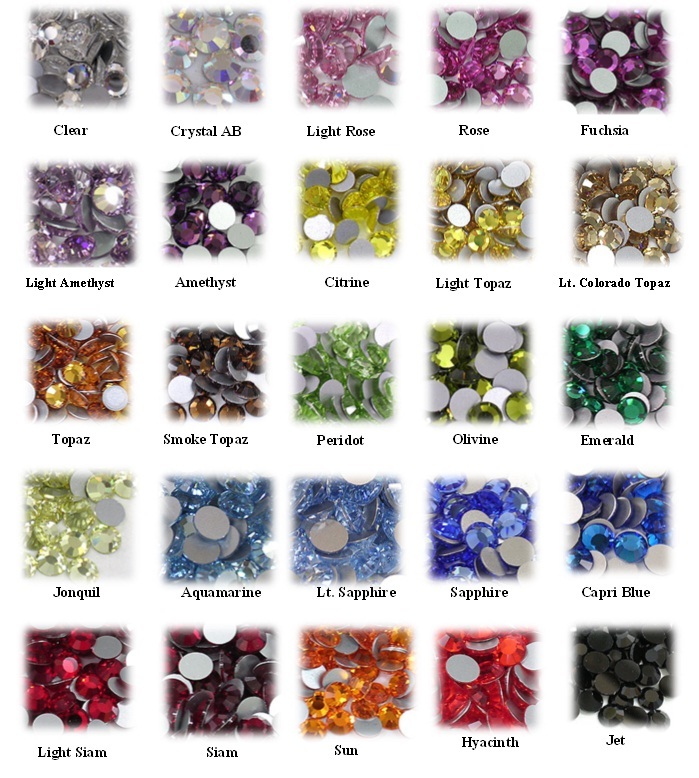 We have over 100 crystal colors in stock. Contact us with your color. This Double Heart Cake Toppers are Made of Mirror Acrylic with the Stakes Attaches for Easy Insertion. Is a Great way to top off a cake. 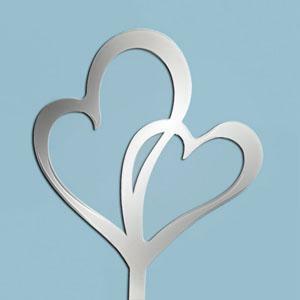 This Topper Measures 5 1/2 "h x 5 1/4 "w.
This Double Heart Cake Toppers are Made of Mirror Acrylic with the Stakes Attaches for Easy Insertion. Is a Great way to top off a cake. This Topper Measures 6”h x 4 1/4 "w.
This Female/Female Cake Toppers are Made of Mirror Acrylic with the Stakes Attaches for Easy Insertion. Is a Great way to top off a cake. 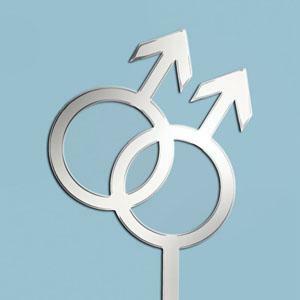 This Topper Measures 5 ¼ ”h x 5 ¼” w.
This Male/Male Cake Toppers are Made of Mirror Acrylic with the Stakes Attaches for Easy Insertion. Is a Great way to top off a cake. This Topper Measures 5 ¼”h x 5 ¼” w.